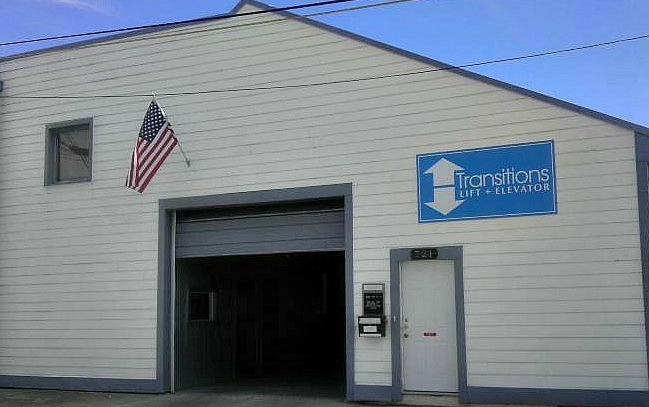 If you’re looking to reduce your utility bills, an enclosed vertical platform wheelchair lift is the perfect fit at home as well as at work because of its energy efficiency. 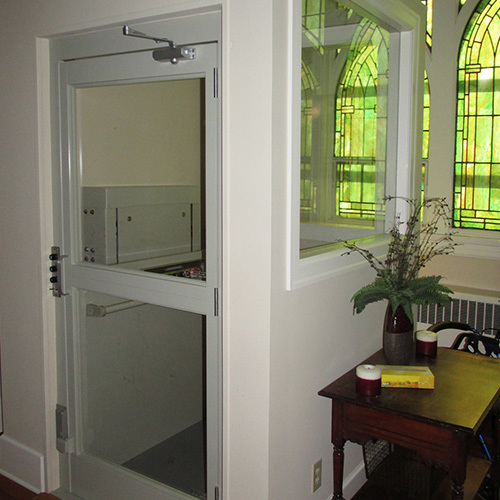 It operates smoothly and quietly so it will not disturb residents at home or workers in the office. 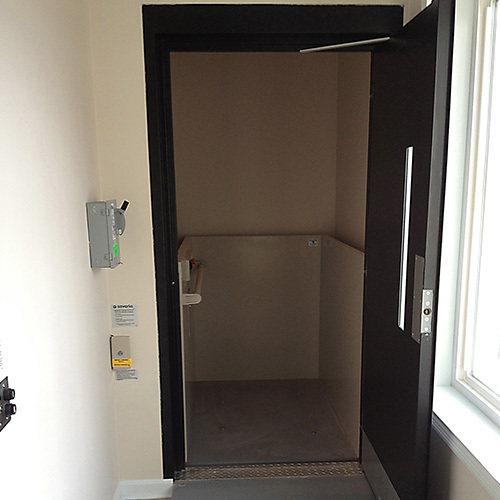 What’s more, because no pit is required, installing this lift at your premises will be an easy retrofit job. 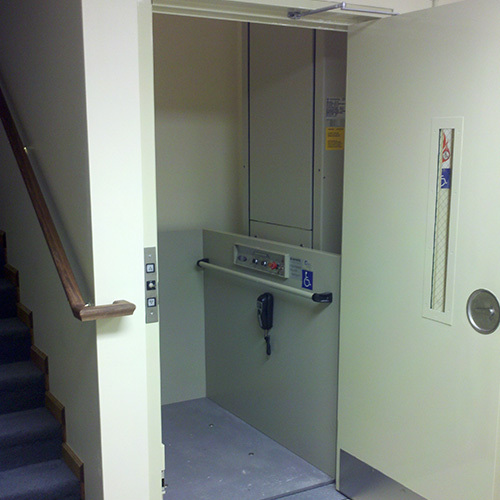 A Vertical Platform Lift designed to provide easy access for the physically challenged. This innovative product has been carefully studied to fit your home. 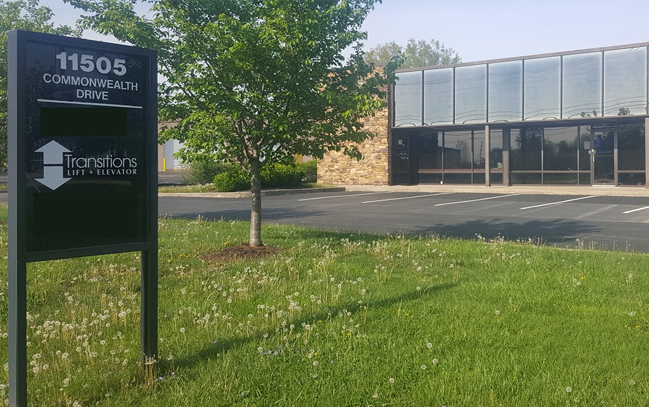 Its versatility also provides the best architectural choice for commercial applications such as schools, churches and office buildings. 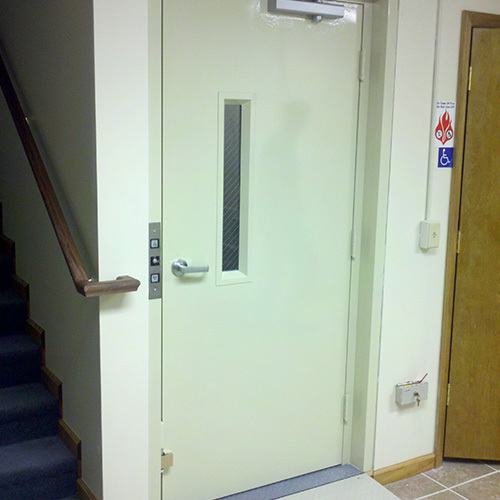 For limited use, the hoistway enclosed VPL can give a substantial cost advantage to an elevator. There is also a big difference in the construction necessary. 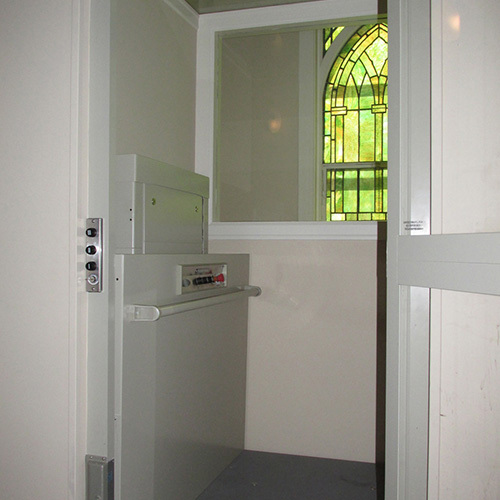 These lifts have very limited pit and overhead requirements making them ideal for renovation projects. 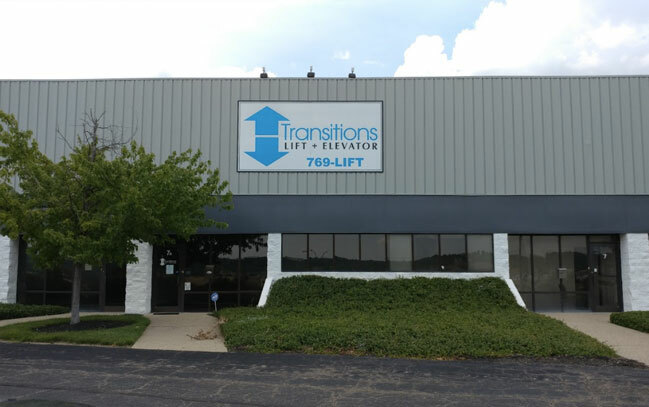 Transitions Lift & Elevator installs Hydraulic and Ballscrew drive systems in commercial and residential hoistway enclosed wheelchair lifts.